On May 19, the Chinese science and education, cultural and health workers, members of the party group, vice chairman of the candidate Qian Lei, provincial Party committee secretary of the party group, vice chairman of the Standing Committee Rao Jianming, executive vice president of the Provincial Education Union Wu Yanling line of 7 people to school Workforce and union work status. 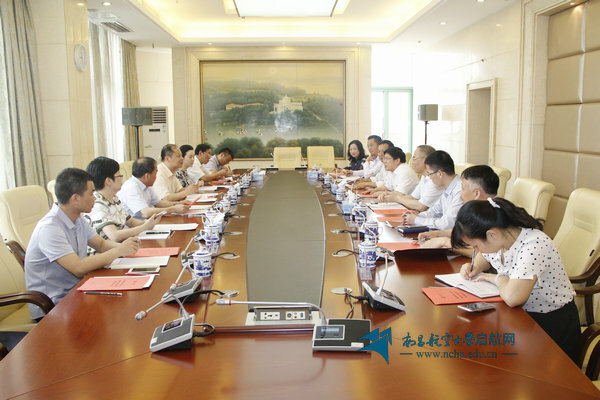 School party secretary Guo Jiezhong, vice president Tang Xinghua attended the research forum, the school union, organization department, propaganda department and other relevant departments to participate. Guo Jiezhong expressed his warm welcome to the arrival of the China Education, Culture, Sports, Sports, Industry and Trade Unions, and expressed his gratitude to the Chinese Culture, Sports, Sports, Trade Unions and the Education Union for their long-term support for the school. Then Tang Xinghua to the research group reported the school school, teaching congress system construction, school affairs, teachers and teachers of the building, the health of workers and so on.